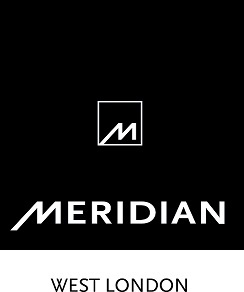 The Meridian Repair Shop is an independent specialist offering repair, service and upgrades for all Meridian Audio legacy * products. I aim to offer first class service to all Meridian customers with legacy equipment from earlier active speakers and 100 series ... right though to discontinued G series and DSP speakers. As an example, below is a list of some of the many services I offer. Amplifier capacitor service and upgrade. Speaker capacitor service and upgrade. Speaker cabinet refurbishment (reworking original veneer, restaining with satin finish). Please feel free to post, contact me by PM, email or phone and I will try to respond as soon as I can. * For current products please contact Meridian / Dealer. Ex. Meridian service engineer, contact me if you need service/support for legacy products. Chris whilst still in business has decided to focus his efforts in another direction and hence no longer offers the above services. If any members are aware of alternative services, click the notify button and pass on there details so we can contact them re sharing details on here. If you would like to purchase spare parts for Meridian equipment to get your product repaired or are interested in purchasing used Meridian Hi-fi head on over to Meridian Legacy. We get many enquiries asking for repairs on Meridian HiFi. Even though we have many years of experience and vast knowledge unfortunately we are not able to provide this service. Meridian Legacy is purely a sales website. If you have a technical question about a fault we will do our best to answer your question but that is the best we can do. In the coming future we will be blogging with technical guides on Meridian products. So keep an eye out for these. We can only recommend one company for repairs on your Meridian HiFi in the UK. Please contact John at JS Audio Repairs. He has many years of experience on repairing high end HiFi. 861v6+ID40, HD621, 8000.2, 7200HC, 7200.2, SKYQ Silver, PS3, PDP-LX6090, QNAP TS870-Pro (8*6TB), Roon, iPadAir2. Unfortunately it seems getting these older systems repaired is becoming harder and harder these days. If anyone knows of a good service centre for M kit drop me PM and if they check out I will post their details. MrTechGuy will be able to help with your servicing for Meridian products. It's been setup by Ex Meridian service staff. As an example, below is a list of some of the many services they also offer. - Amplifier capacitor service and upgrade. - Speaker capacitor service and upgrade. - Speaker cabinet refurbishment (reworking original veneer, restaining with satin finish). - System install and setup. Yaaay! Thanks for the heads up! And now we have a new HH account so I can say welcome MrTechGuy. We are hoping our new venture will be of help to you guys on here. With many years of Meridian Support and Service, we believe we can really help keep your equipment in top condition. Our office is only about 20mins from the factory and are still in constant contact with all the team at Meridian. All I ask is you use our website to contact us for the moment http://www.mrtechguy.co.uk/ as that is the best way to reach us currently. Hope your new venture works out. Fabulous news. All the best Edd! 2 registered (GMT, dpstjp), 60 Guests and 1 Spider online. Generated in 0.021 seconds in which 0.004 seconds were spent on a total of 16 queries. Zlib compression disabled.